Setting your prices can be one of the hardest parts of having a flea market booth. How you price items determines how quickly your inventory will turn over, which impacts how customers experience your booth. If items catch their eye but the pricetag turns them away, the customer might not stay in your booth and shop! In my successful flea market booth, I use a few tricks and formulas to find a price point for items that help me balance between having a quick turnover and pocketing a bigger profit. Read on for advice on how to price second-hand items in a flea market booth, secondhand shop, or swap meet- plus at the bottom I’ve included some tips on reducing effort and expense when actually affixing price tags to products. 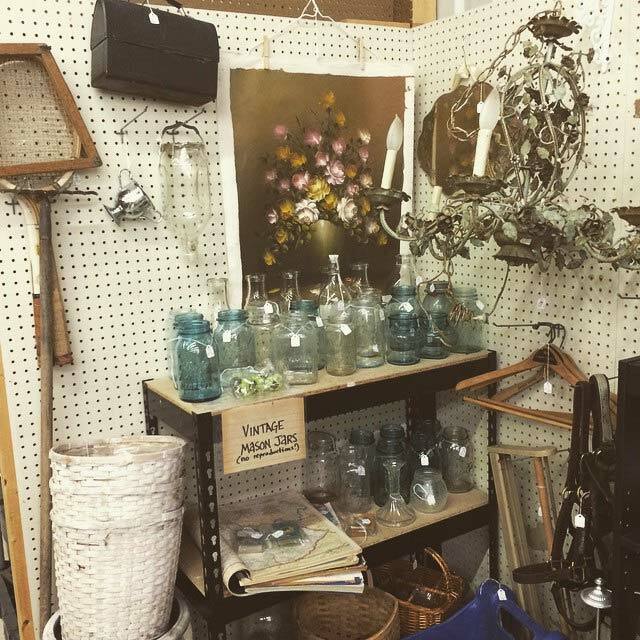 Shopping other flea market booths will help you build a sense of what items are worth. With practice, you’ll be able to price things by “going off your gut,” saving lots of time. eBay is still your best bet when you come across small, highly valuable items when scavenging for flea market inventory. My rule is: If it’s easy to steal and expensive enough for a thief to be willing to risk it, I eBay it. – eBaying the item generally means being able to get the best price and not risking theft- it’s also perfect for very “weird” items like highly specialized tools that would be difficult to sell to the folks browsing flea markets. A classic retail pricing formula is to the take the price paid and double it. Because you may be sourcing your inventory from free sources or counting on reselling thrift store treasures, this usually isn’t the most reliable method, but may be helpful to have in mind. 4. A note on selling personal items. Your flea market booth can be a great way to sell belongings that you no longer use or that no longer fit your style. It can be hard to price personal belongings- especially items with sentimental value. Be mindful of what the product’s may realistically sell for, and if the sentimental value exceeds that value- do not sell. In most stores, pricing is simple and standard- tags stuck to packaging or barcodes. In a flea market, affixing prices to products is both an art and a science. Without packaging to apply prices to, and with many vintage items having vulnerable or impossible-to-stick-to finishes, pricing creativity is called for. At about 1.5¢ each, string tags are an affordable way to price flea marted items and are the most common pricing method in most markets. Although not quick to apply (and thus, a little more expensive in regards to pricing labor), string tags are relatively visible and don’t fall off easily..
3. Cardstock and (sometimes) staples. Cardstock can be used to price large or expensive items, and LARGE pricetags are more visible, and more visibility means fewer customers asking questions about pricing or handling the item (both potential profit killers). Chandeliers sell well in a flea market, large pricetags discourage excessive handling of these fragile items. for some items (light fixtures, wall hangings, etc) the cardstock can be looped over and stapled. 4. Cheapest: Invest in a paper cutter, cardstock, and a tagging gun. 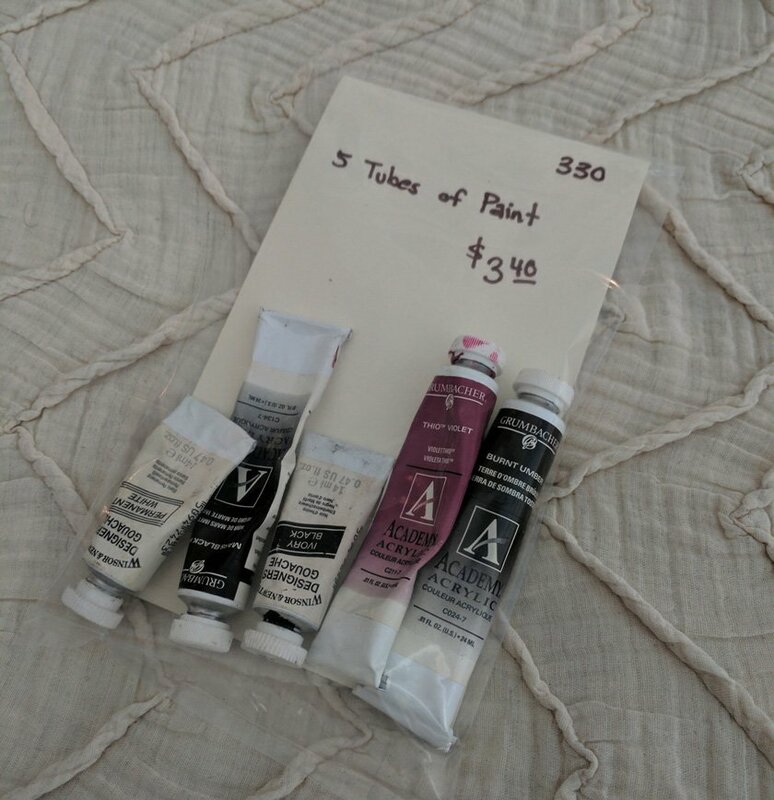 A tagging gun is the best purchase I ever made for my flea market- and never leaves my pricing kit Tagging guns can be used on a variety of products to pierce a porous part of the product and affix a tag. Other styles of plastic tags create the recognizable loop- making it possible to add price tags through handles or rings on a product in literally a fraction of the time affixing a string tag requires. Pricing guns usually include a sharp needle nose, making it possible to pierce through a square of cardstock pricetag and affix the tag in a single motion. This $20 investment in your booth can save hours on pricing by making it easy to group small items and create tamper-proof price tags. Single small items can be difficult to price and easy to lose to theft- grouping and sealing in a bag is a quick way to bulk price, group, and reduce theft. These are just a few pieces of advise about how to choose prices for your flea market or swap meet booth items and, once you’ve picked a price, affix your pricetags in a way that keeps your material and time expenses low so you can enjoy a bigger profit from your booth. Go more tips? I’d love to hear how you calculate prices and affix pricetags in the comments below!